As much as I love to talk about Android and Adobe Flash, and things of that sort, sometimes life still gets in the way. It just so unfortunate that I have neglected this journal. I’m sorry! I’ll do better this time. Let’s start with where I’ve been. The last thing I wrote about personally was my review on my Motorola Xoom. WOW! It has been a long time. Since then I’ve owned 2 new tablets and a new phone. About to buy yet another phone in fact. But the important things to brag about was how lucky I have been during this time off. Let’s see, In May 2012 I was lucky enough to win a fantastic giveaway from Droid-Life. The package included: Asus Transformer Pad,a matching lapdock, Jambox Speaker, and Logitech game controller. In February 2012, I won a Plantronics Bluetooth Headset from Landofdroid.com. In the same month, I won again but this time it was a Seidio Galaxy Nexus 3800 mAh Extended Battery & Case. 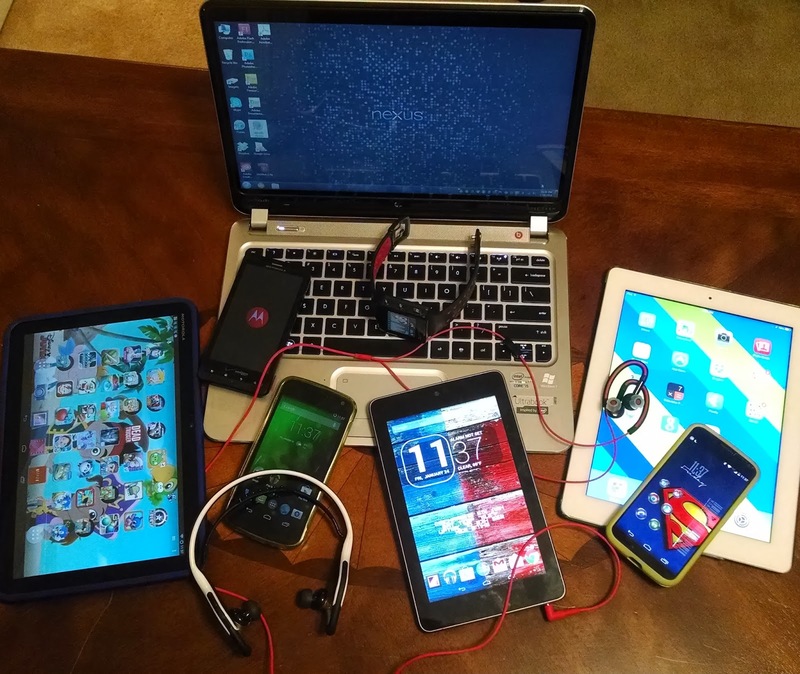 In January 2012 I won an Apple iPad 2 from MoneySavingsQueen.com by sharing my story of how I won a Droid Razr from VerizonInsider.com in December 2011 (Sorry, no link for that. The winners list is gone.) and then gave it away to Nate Galloway at CedarRidgeChurch.tv. Who just so happens to be my cousin in law. On February 2013 I entered a Motorola giveaway and won a pair of S11 HD Flex Bluetooth Headphones. A few other things too such as a Motorola MotoActv Fitness watch, a rather “cheap” 7″ Android tablet (with resistive display), and Huawei phone from Net10 and 1 month of service. I had a great run! I’ve done a few apps in the past few years too. All on the Google Play Store are: Holo Rainbow Theme Series,Sort- a-Pal,Doodle Pal, and Cedar Ridge Church. Doodle Pal was my first attempt at an app. I’ve built all but the themes through Adobe Flash, which has lots of restrictions compared to Java. But it was a lot of fun. Not to mention that Adobe announced it would no longer support Flash for mobile browsers, which is not the same thing as mobile apps, but the general public didn’t know the difference, so that impacted my sales and downloads as well. If you are not familiar with theming on your smartphone, you either have an Apple iPhone or you’r not rooted with a custom ROM on your Android devices. Theming allows you to change the system colors and icons to match your personality or to just customize to be different. As I was studying themes I learned that a lot of people just wanted to be able to change the colors from the out of the box Ice Cream Sandwich Blue, aka Holo Blue. I’m baffled it didn’t download more than it did. In January 2012 I was reassigned to a new position in my daily job, and that took a lot of attention. I can’t say I “blame” that per say, because it was a good change, one I know God had everything to do with, but it demanded all my attention and drew me away from my hobbies. But now I have a few years under my belt and it’s not like drinking from a water hose again. This year I have 3 resolutions: drop 25-30 lbs, build the Cedar Ridge Church Android app in Java, and make this blog a review blog. I’m going to need dedication, patience, and sponsors to get all of that done this year. Where do I begin 2014? What device do I review first? The one I was able to buy on my own, my new Moto X. I’ll see you back here in a few days to give you all my thoughts on my new Moto X from Motorola.